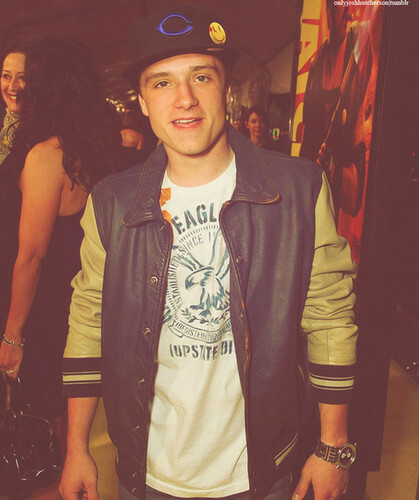 Josh. . Wallpaper and background images in the जॉश हचरसन club tagged: josh hutcherson photo. This जॉश हचरसन photo might contain ऊपर का कपड़ा, overclothes, ऊपरी वस्त्र, ओवरक्लाइट, फेडोरा, महसूस किया टोपी, homburg, स्टेटसन, trilby, टोपी, होम्बर्ग, स्टेट्सन, त्रिलबी, fedora, लगा टोपी, stetson, playsuit, and नाटककार.